Elevates upper body or legs; Helps treat symptoms of hiatal hernias and reflex disorders; Covered with a cotton/polyester blue cloud fabric. Helps to align the spine in its natural position and support the neck. Can be used by side or back sleepers. Polyester fiber fill. 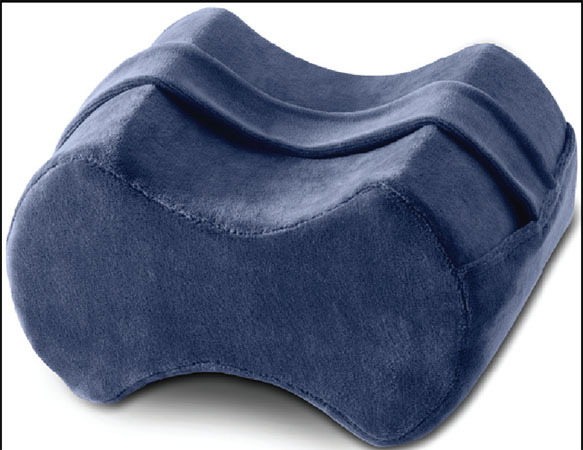 24" x 16"
Hourglass shape fits between the legs for greater comfort wile sleeping; Moves with the user as he or she turns; Includes strap; 10" X 8" X 6"; Blue. 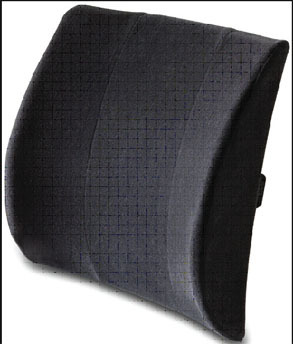 Provides support to the lower back; Side supports help keep user comfortable by promoting posture; Can be used at home, or in the office or car; Fabric cover; Black; 13" X 14"
Proper cervical support at an economical price. Patented "D"-shaped center gently supports head and neck during sleep. Filled with cool and comfortable Corefill� 100% polyester fiber. Durable and washable. 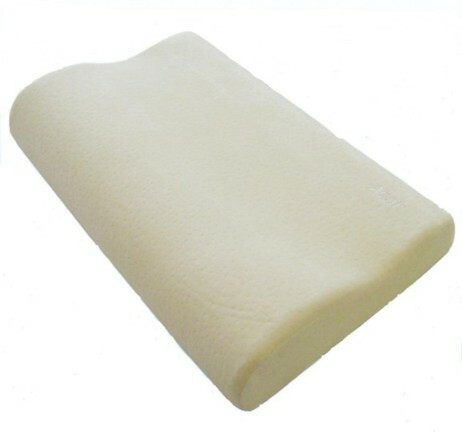 High-density molded foam orthopedic support pillow provides support for the legs to keep the spine aligned while a patient is on his or her side. Leg strap keeps pillow in place. Contoured Seat Back Lumbar Cushion W/ Elastic Strap, High Quality, Superior Molded Foam provides Firm Lateral support perfect for the home, office or car. 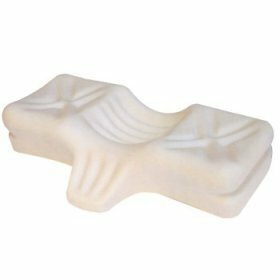 Supports lumbar curve when sitting or driving. Elastic Strapping system fits almost any seat. Turns a flat surface into a clinical table. 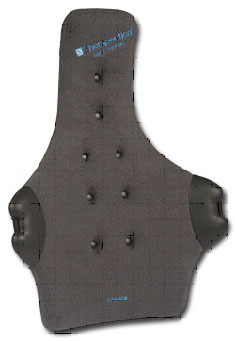 Offers full access to back and neck without discomfort of turning head to one side. Excellent for those who must recline face down. Can be folded to create a cervical support. Available in black, blue, and gray. 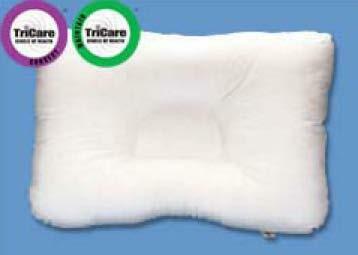 Double Lobe, High Density 5.3lb, Molded Memory foam orthopedic support pillow. Molds to your shape and creates the perfect support for your patient's head, neck and shoulders. L 19.7" x W 11.8" x H 4.25". 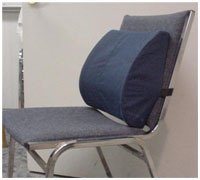 Incorporates 2 correct pillow shapes into one pillow with different heights for back and side sleeping. Helps to eliminate sore and stiff neck problems from sleeping incorrectly, and reduces snoring. Surface channels provide air circulation. Soft, molded foam is non-allergenic and environmentally friendly. Comes with a free, fitted, polyester/cotton, machine washable, zippered pillow cover. Fits into a standard pillow case. For sizing measure from neck to top of shoulder. 30-day warranty.